CIMA revision is of course very important - but are we guilty of making our approach a bit too serious? It goes without saying that all students really want to pass their CIMA exams - so it's important to make sure your revision is as effective as possible. After all, it's a serious matter! However, there is often a misconception that revision can't also be enjoyable. 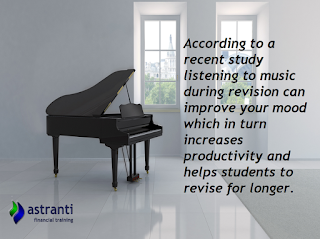 With that in mind, here are three tips that could not only make your revision more fun, they could also make your revision more effective! We're all used to sitting at school in total silence, and somehow that has led to us thinking that this is the only environment we can work in. However, according to a recent study, listening to music during revision can improve your mood - which in turn increases productivity and helps you revise for longer. Of course you need to find the right balance of music genre and volume, but there is no evidence which suggests that silence is the best work environment. So find some nice music and you might find you get more out of those hours you spend reading. 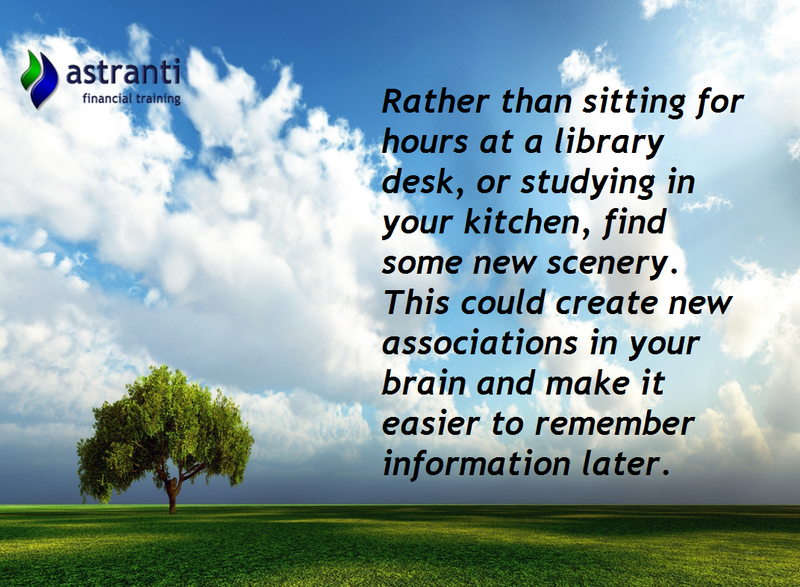 Much like the issue of sitting in silence, we also tend to think that we have to revise in certain locations. Whether this is feeling like we have to go to the library to revise, or spending everyday sitting in the same seat in your kitchen. However, finding some new scenery to revise in could not only lead to you having a more pleasant experience, it also could create new associations in your brain and make it easier to remember information later. So why not take your CIMA revision to the local park? Or if you usually sit at home, why not go and enjoy the sunshine in your back garden? You may find that this could help you remember that key piece of information! If you feel like you have a lot of CIMA revision to do - and you don't have a lot of time to do it in - you may feel like you couldn't face squeezing in any exercise. 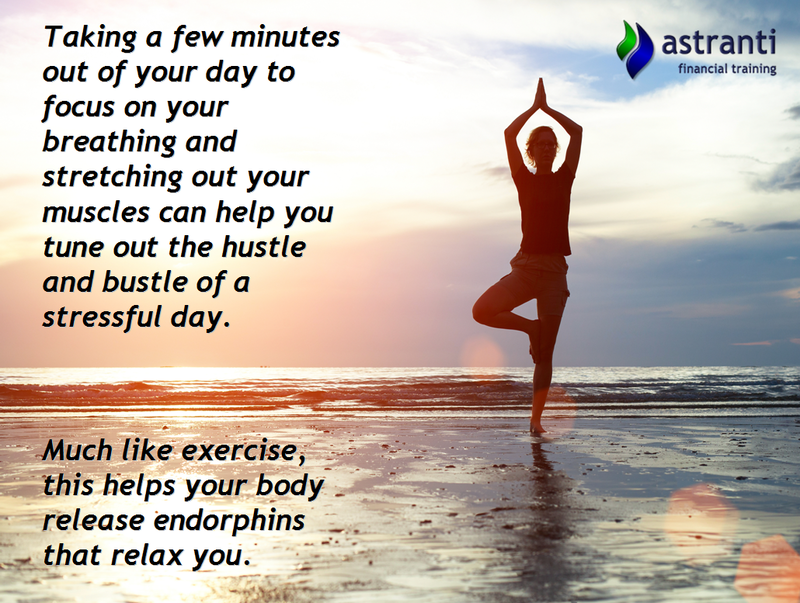 However, just taking a few minutes out of your day to focus on your breathing and stretching out your muscles - can help you tune out the hustle and bustle of a stressful day. 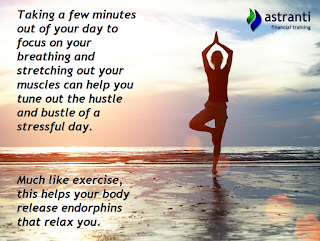 Stretching, much like exercise, helps your body release endorphin's that relax you. So whether you go out for a brisk walk before starting your revision, or you spend a bit of time before bed going through your stretches - you could find your revision a lot less stressful! You may find one of these small tips makes a big difference to your revision.